Even (maybe especially) after a few dozen visits to this magical place, a powerful sense of wonder is always present. I am sitting near the back of the Ahwahnee Hotel’s Great Room in Yosemite Valley, accompanied by the family artist (Gretta), a glass of Sonoma County Pinot Noir (from Flowers Winery), and an iPad; my eye drifts up to the gigantic ceiling, built in 1927 and festooned with an Ahwahneechi tapestry, woven deep red, blue, gold, and black, above the six-by-ten-foot fireplace and illuminated by four immense iron candelabra, electrified only in recent decades. 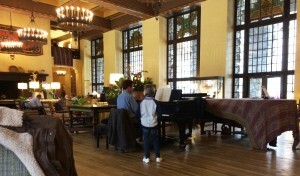 The view from here, positioned behind two thickly covered grand pianos, speaks of enduring elegance, respectfully built on ancient Native American roots, offered here for those who would take their place where presidents, magnates of industry, backpackers, and parents with children on Spring Break have quietly relaxed since before anyone knew there would be either a Great Depression or Great Recession from which to recover. A crew of uniformed servers quietly prepares the afternoon tea-and-cookies service for those who drift in from their day in the woods. From recent experience, I know that the grandest of the pianos will be uncovered soon, to be employed with the collaboration of Mozart and others to set a mood that alternates between quiet contemplation and festive revelry. Remarkably for those of us mired in the 21st century, the wood-carved sign at the entrance to this Great Room, reminding those who enter to be on their best behavior, is respected and obeyed, evident in the obviously coached youngsters who speak in hushed (for them) tones as they enjoy surroundings that even they know deserve some respect. Today is a surprise. Yosemite has not been immune to the ravages of California’s four-year-and-counting drought, demonstrated by weaker-than-usual waterfalls, above-average temperatures, and NO recent snowfall. But today, April 5th, is different — today we all woke up to falling snowflakes as big as cottonballs and the low temperatures that Yosemite’s regular visitors had come to expect this time of year. So, the snow clothes and smiling faces began gathering in front of the giant fireplace by mid-afternoon. Precisely at four, a well-dressed gentleman arrives, wheels in his own particular chair, uncovers the piano, becomes comfortable before the keys, and changes entirely the color and flavor of the giant room, using his own particular brand of concentration, without need of sheet music. Activity in the room, however, does not change — gentlemen wearing baseball caps still relax on colorful sofas, dads in snow clothes still wheel baby strollers into the space in front of the fire, accompanied by moms directing toddlers and school kids to their appointed places to divest themselves of wet clothes, carefully hung to dry on the hearth, revealing the activities of the season — gloves and mittens that had been throwing snowballs, stocking hats that had kept ears warm but not dry, boots that had been crunching across the first (and last?) thick snow of Spring, and snow pants that had been crawling on the snow as the older children rolled big balls of ice to create the torsos of snowmen. The music rises to the rafters, not needing volume to command the attention of the room, but not interrupting the business of families doing what they came here to do. Chopin makes an appearance, again without benefit of sheet music – the gentleman lost in his own enjoyment — not limiting himself to the first movements of pieces most may recognize, but retelling masterworks in their entirety. The room is now filled with the dual majesty of the music inside and the mountains outside. 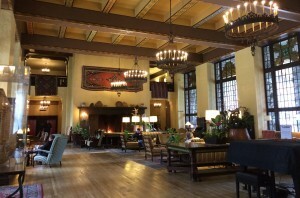 People from multiple generations, classes, and ethnicities read their books, discuss their topics, sip their teas and wines, draw their pictures, and yes, write their words — all under the watchful eyes of Half Dome and Yosemite Falls, peering in through the high windows on opposite sides of this magnificent room. The multiple personalities of the Spirit of Yosemite make their presence known, even through those high windows — Half Dome, out one window, stands as a dark chocolate truffle, sprinkled with powdered sugar that someone cut in half to see if it’s the one with a raspberry inside. It’s not, but worth the cut to find out. Out the opposite window, Yosemite Falls, diminished in volume by a drought-ish and warm winter, pours its modest goodness into a splash of mist just visible between tall, straight evergreens and bare, spreading oaks. This is, of course, just a snapshot, a small glimpse in time and space. We can wander from this room to stand before — or even atop — other great natural wonders of our continent: Vernal and Nevada Falls, Mirror Lake, the Merced River, Glacier Point, and rock faces carved by forces we humans cannot duplicate and that we do not live long enough to witness in our collective lifetime on this planet. 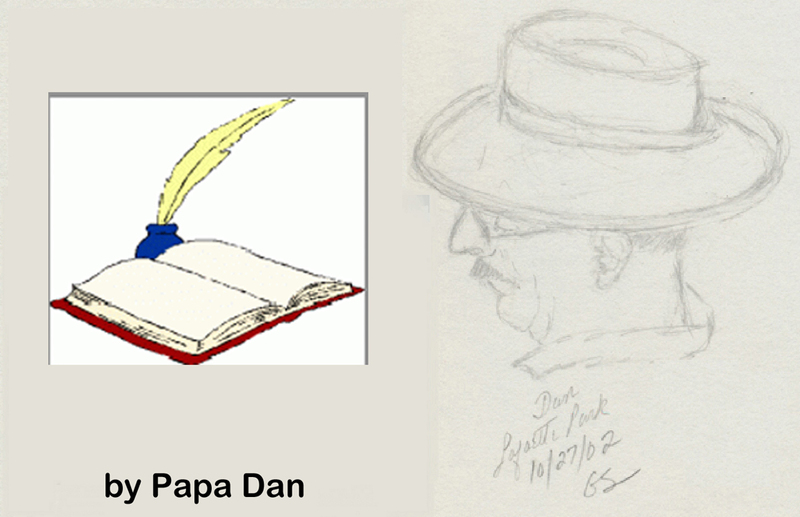 A snapshot is all we have ever seen; but we continue to imagine the part of the snapshot cropped out of our view, before and after the time and space we occupy. Why do we come here? Is it for the mountains – appearing larger and more permanent than anything that has surrounded us anywhere else? Or is it the water — to see what it can do when it arrives with power from far above us? Do we come here to be in the presence of creatures — bears and deer, birds and coyote, and their compatriots — not familiar in our neighborhoods back home? Maybe, without realizing, we come to experience the simultaneous work of permanence and change: two illusions who conspire to fool us into thinking we understand the rhythm of this life, only to surprise us by revealing things and ideas hiding in plain sight, that have always been there waiting for us to discover them anew. Are we proud to see that we can erect what we believe to be enduring human elegance, like this grand hotel, amid the seemingly transitory elegance that pours out of the granite for moments and is then gone — over and over, across millions of years that we believe we can count but can really only imagine? Do we come here to listen to the voices that remind us that the things we consider ‘permanent’ are not so permanent to Yosemite — that permanence and change might just be two sides of the same stream? Do we come here to escape the hopelessness we read in the newspaper, which I am reminded to put away when I enter this cathedral of nature? Does our presence here expose a glimmer of hope that parents still bring their children here — as an investment in the future? Perhaps it is that same ever-present sense of wonder, with which I arrived, that brings me back and back again. Friday, April 24th, 2015, by Daniel and is filed under "Ideas, Travel ". You can leave a response here, or send a Trackback from your own site. I enjoy the way you describe your surroundings…so moving. Especially your description of Half Dome. New thoughts for me. We have lovely memories of your wedding there and we wish you a happy and delightful Anniversary. I wish you many more beautiful anniversaries to come for you two. I’m glad to be a part of yours and Gretta’s family. Thank you for the kind words. We are glad you were there with us that day. Robert, Thank you! Isn’t it amazing that Yosemite can successfully combine elegance and wilderness? I envy your cabin in the woods. Perhaps you’ve written about it in one of your books? 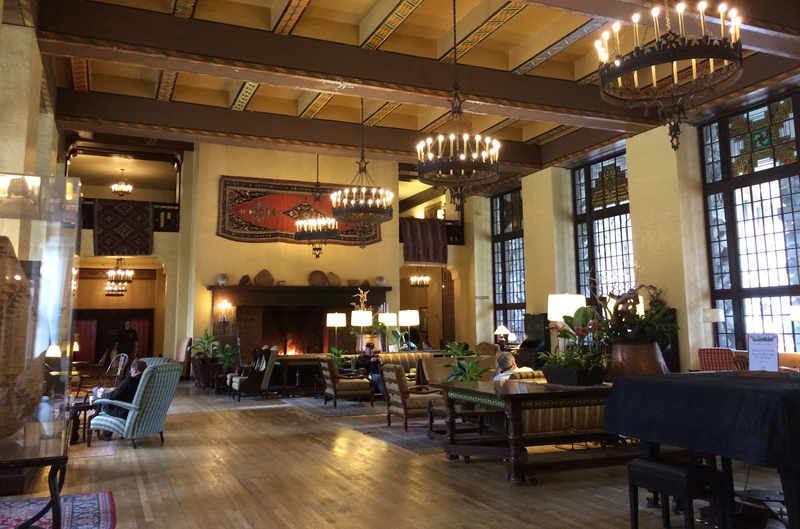 David and I stayed at the Ahwahnee for our anniversary one year. It was January and snowing. Thank you for so beautifully evoking a happy memory. © 2019,ConVivio, WP Theme "mts journey" by mts from WebDesign .